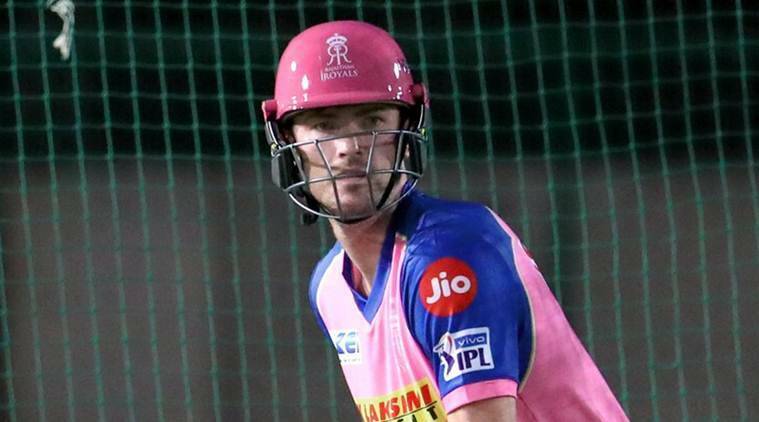 Rajasthan Royals, who won the toss and opted to bowl against Kings XI Punjab in Mohali, decided to drop former Australia skipper Steven Smith from their Playing XI and bring in Ashton Turner, who makes his Indian Premier League debut on Tuesday. Dropping Smith, who scored 186 runs in seven matches for the side, has been replaced by fellow Australian Turner. Skipper Ajinkya Rahane made two other changes, bringing in Stuart Binny and Ish Sodhi. “We’ll look to bowl first. It’s a dry wicket and on this ground chasing teams always win. What is important is playing good cricket throughout 40 overs and start fresh. It’s a funny format so you need to give your best,” said Rahane. A Vivo @IPL debut for @Ashtonturner_70! ?? “Three changes for us as Ashton Turner comes in, Stuart Binny is back and Ish (Sodhi) comes in. It was a good victory against Mumbai, we did really well. Only four overseas can play in IPL, hence it’s a difficult choice to make. It’s important to start from scratch and stay fresh,” he added. Meanwhile for KXIP, skipper R Ashwin made two changes, picking up David Miller in place of Sam Curran and giving Arshdeep Singh his IPL debut, who replaces Sarfaraz Khan. This is Arshdeep Singh when he realised that he will make his debut tonight… ?? Moises Henriques was set to join Arshdeep and play his first match of the season but he injured himself during warm-up, a few minutes before the toss. Not a pretty sight this. ?? “Moises was set to make his debut but unfortunately got injured. We have Miller back in place of Curran. It’s one of those stages where you got to gain some momentum,” he added.